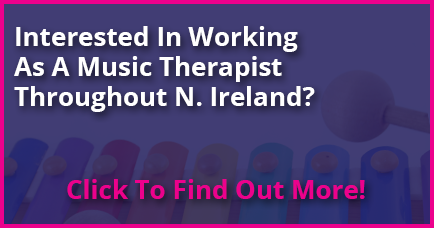 Music Therapy and neurological disorder programmes can be devised and catered to meet the specific needs of the client with a neuro disability. People living with a neurological disorder may experience paralysis, muscle weakness, poor coordination, loss of sensation, seizures, confusion and pain. People living with long-term chronic neurological disability may experience social isolation, traumatic life changes and communication impairment in addition to their physical disability. Music is processed in many parts of the brain, which makes it an excellent tool for people living with an acquired brain injury or a neuro-degenerative condition. Attentive listening on the part of the therapist is combined with shared musical improvisation, using voices and instruments, meaning that clients can communicate whatever their level of ability. Psycho-Socio-Emotional – using music to enable emotional expression, engagement in social interaction and adjustment to disability. Achieve better muscle co-ordination, balance and strength. Develop essential motor skills needed for holding and making use of objects (e.g. a beater). 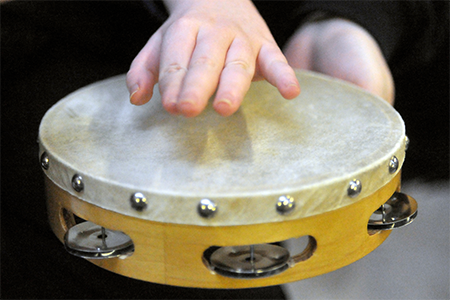 Use rhythm to stimulate gross and fine motor movement e.g. dancing, jumping etc. Encourage the use of voice by using wind instruments to facilitate and improve breath control. Help to boost confidence and self-esteem, improving mood and social communication.